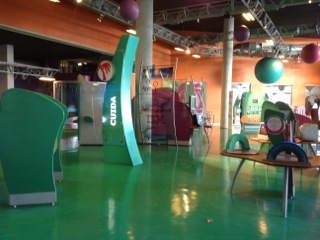 On July 17 Città della Scienza has hosted Mrs Gloria Aparicio, Director General of the Museo Interactivo Papagayo Villahermosa in Mexico, one of the most significant international experience in the field of interactive museum education. The meeting is aimed at an exchange of knowledge and models on scientific popularization and dissemination, and in particular focuses on the possibility of renewal/rethinking of the concept of a museum for childhood and its mission. 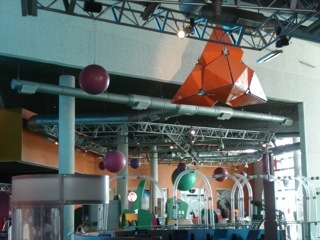 The Museo Interactivo Papagayo, built in 2003 by architect Abraham Zabludovsky and Rec Arquitectura on an area of ​​5,500 square meters, stands as a place of informal knowledge through the use of game as a learning tool. The philosophy of Museo Interactivo breaks the traditional paradigm of museums, by exhibiting concepts rather than objects. 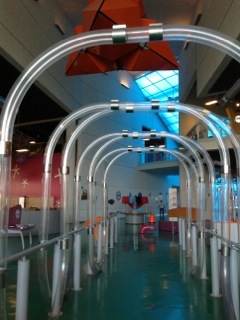 This feature gives flexibility to the space, making it different from public spaces dedicated to learning dynamic. 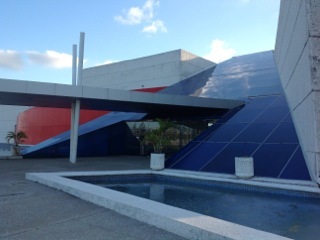 The current structure of Papagayo Museum consists of over 100 interactive exhibits divided into five permanent galleries and temporary exhibitions. 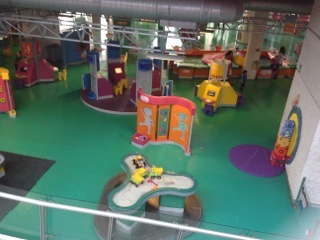 The Museo Interactivo Papagayo, which opened eight years ago, is now launching a renewal process aimed to strenghten its roots in the territory of Tabasco and in the imagination of its children.